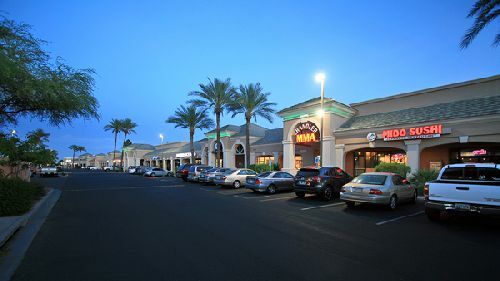 A San Diego-based private investor paid $14.7 mil for Laguna Village, a 102k sf ($144/sf) neighborhood shopping center in Chandler, AZ. The property is located at 5965 West Ray Rd. Laguna Village is 90% occupied and includes anchor tenant, Christ’s Church of the Valley, as well as several neighborhood restaurants, health and wellness businesses, and consumer product shops. Walgreens and Natural Grocers, although not a part of the sale, are within the center and create a flow of crossover customer traffic for the center’s successful mix of retailers. Built in 1988, Laguna Village is situated on approximately 17 acres at the southeast corner of Kyrene Rd and Ray Rd in the heart of the City of Chandler. The property is two miles from the I-10, Loop 202 and Loop 101. Sean Thomas with SRS Real Estate Partners represented the buyer. The seller, a private investment group, was repped by Bernstein Murphy.